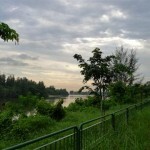 Sengkang Riverside Park | JustRunLah! Home to Singapore's largest man-made floating wetland. 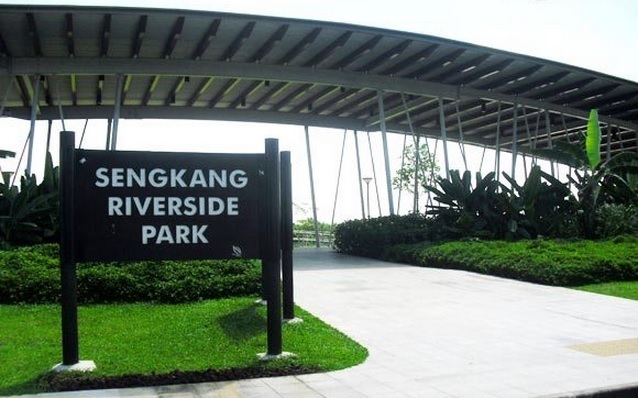 Opened to the public in 2008, Sengkang Riverside Park is situated in the Northeast of Singapore has been was awarded the ABC Waters Certification, for the integration of sustainable urban planning with protection of Singapore’s water resources. A calm and tranquil park, one quickly forgets that the marsh plants in the artificially created wetlands, which draws a rich biodiversity (notably fish, birds and dragonflies), were originally planted by hand! 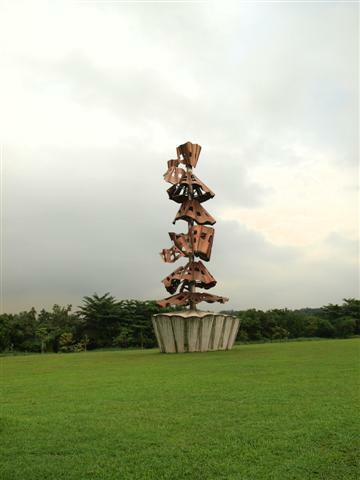 Sungei Punggol runs through this 21-hectare riverine park, with a vehicle and pedestrian bridge linking the east and west sections. All areas of the park offer tracks for biking, jogging or hiking, and runners should not miss the unique Fruit Tree Trail, which features 16 different tropical fruit trees, some of which are so exotic you’ve probably never heard of their names. 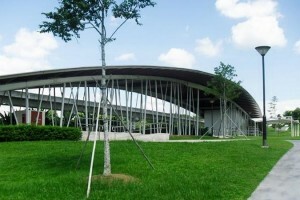 Adjacent to the park is the Sengkang Sports and Recreation Centre, accessible via the Floating Wetland. 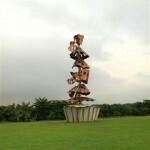 The Civic Lawn can be hired for private functions, and the park also has a Visitors Centre. For a post-run meal or a quick refreshment, drop by the Mushroom Cafe, situated within the park itself. With overnight lighting, this park is suitable for nighttime running. 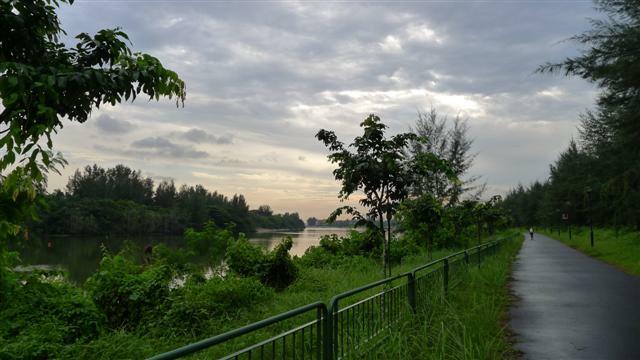 – Punggol Park Connector which runs alongside Sungei Punggol, eventually splitting into two – heading north ultimately leads to Punggol Beach while turning east onto Punggol Jogging/Bicycle Path which runs along My Waterway @ Punggol. Both routes are viable options for accessing Pulau Serangoon (Coney Island). 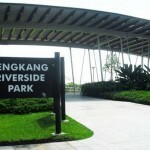 Sengkang Riverside Park has a car park of its own, with plenty of parking spaces. Runners, please note that the park is scant on trees that provide shade, so if you choose to run in the middle of the day, please stay well hydrated! If you are taking the train, the nearest LRT station is Farmway (SW2). If coming by bus, the closest stop is serviced by bus number 85. 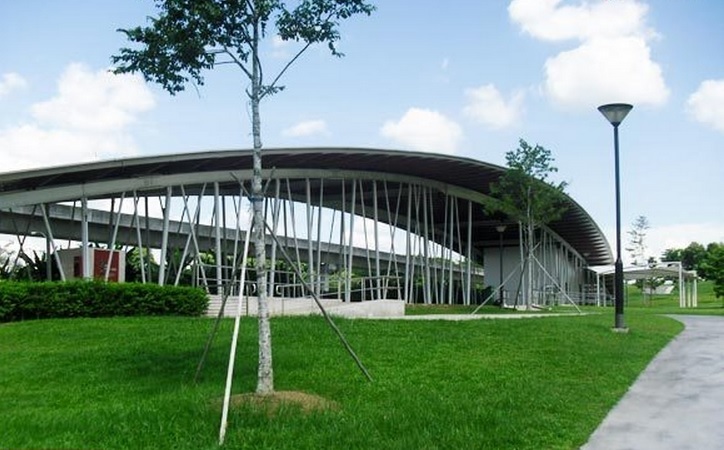 Shower facilities can be found at the adjacent Sengkang Sports and Recreation Centre.